Under the Sustainable Development Goals, the fight against AIDS will take its place within the full panoply of Human Development aspirations, including action on climate change, marine conservation, urbanisation initiatives and sustainable economic growth. Yet the scale of what remains to be accomplished is no less daunting than what we faced at the start of the AIDS epidemic. 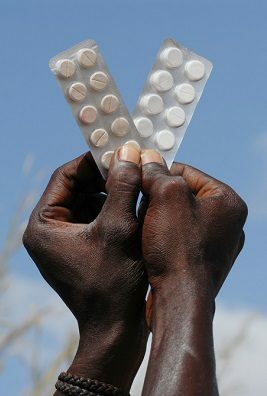 There remains more than 20 million people awaiting enrolment onto antiretroviral treatment (ART) programmes; and because ART is not a cure for AIDS but a form of life support, the care burden and financial costs of ensuring that those currently under treatment gradually move to second and third-line medicines will increase rather than diminish. Furthermore, behind the headline successes, there remain extensive difficulties: inadequate and unreliable health systems, poor screening, breaks in supply chains, insufficiently trained health personnel and a worrying increase in transmissible drug resistance, to list but a few. Unfortunately, the political and financial conditions that facilitated the global response to AIDS at such a high level are no longer present. Neither funding for AIDS nor Overseas Development Assistance more generally have fully recovered from the global financial crisis of 2008. In addition, the struggle against AIDS is now sited within the SDGs. Its seventeen goals and 169 targets encompass practically every significant aspect of human development and planetary sustainability. Although costings for its panoply of challenges have not yet been debated and agreed, it is already clear that the profile of AIDS as a uniquely urgent global emergency must now assume a place alongside other urgent and costly priorities; and the sources of funding which have sustained the largest part of HIV and AIDS programmess for the last decade cannot be relied upon to meet current needs, let alone more ambitious goals. (Current spending on AIDS is approximately S$19 billion. UNAIDS is calling for an additional $8-$13 billion.) The case for AIDS funding will have to be advanced in a crowded arena, from a pool of funds which has already shrunk. Yet advance we must. UNAIDS projects that the cost of inaction over the next five years will be huge: the lost opportunity to save 21 million lives and prevent an additional 28 million people living with HIV by 2030, at an additional cost of $24 billion every year for antiretroviral therapy. All of the elements of an AIDS ‘perfect storm’ are in place, against which we have decades of global solidarity, the morally awful and medically catastrophic prospect of a reversal of decades of progress and the voices of the many millions whose lives have already been saved.